Obituary for Nancy Elaine (Sweitzer) Boyer | Feiser Funeral Home, Inc.
Nancy Elaine Boyer, 76, of East Berlin, passed away peacefully on Thursday, March 21, 2019, at Hanover Hall. Nancy was born February 2, 1943, the daughter of the late Glen and Anna Mary (Sweitzer) Boyer. Nancy graduated in 1961 from Spring Grove High School, and worked at the Cross Keys Brethren Home as a nursing assistant on the night shift for 42 years. 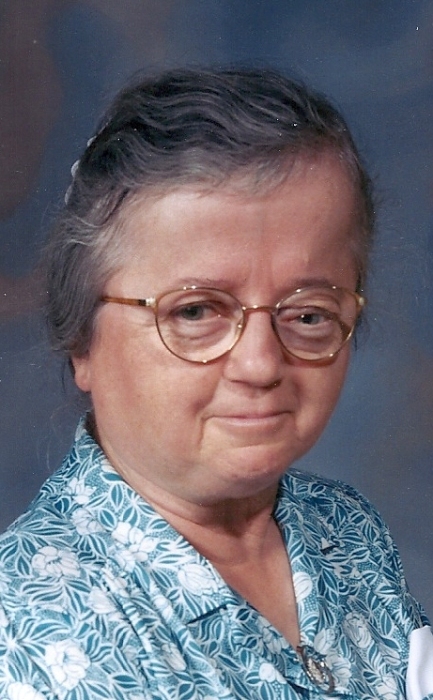 She was a lifelong member of the Upper Conewago Church of The Brethren, and enjoyed helping with summer bible school and where ever she was needed. Traveling is what Nancy enjoyed and she did lots of it with her friends, as well as attending gospel concerts. She loved to eat out and was a friend to everyone. Nancy is survived by two brothers, Stanley R. Boyer and his wife Joyce of Thomasville, and James W. Boyer and his wife JoAnne of East Berlin, and many nieces, nephews, great nieces and great nephews. Nancy loved her family and being part of their lives. Since living alone, her pet cat and dog were her joy. Funeral services will be held on Tuesday, March 26, 2019 at 11 AM, at Upper Conewago Church of The Brethren, 391 Mummert’s Church Rd, Abbottstown. Burial will be in the church cemetery. Viewings will be held at the church on Monday from 6-8 PM, and on Tuesday from 10 AM until the time of the service. Memorial contributions may be made to Gideon’s International, 80 Maple Ave, Gettysburg, PA 17325, or to Bible Helps, Inc, 1445 Abbottstown Pike, Hanover, PA 17331. Feiser Funeral Home, Inc, 306 Harrisburg St, East Berlin, is in charge of arrangements. Memories may be shared at www.feiserfuneralhome.com.